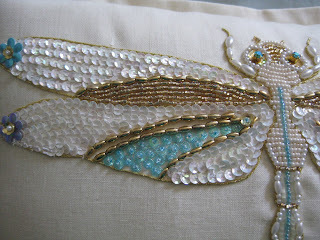 Well after a bit of another spell in hospital I am now back stitching again! This is a beaded dragonfly cushion which I made to tone in with my new duvet set for my bedroom. 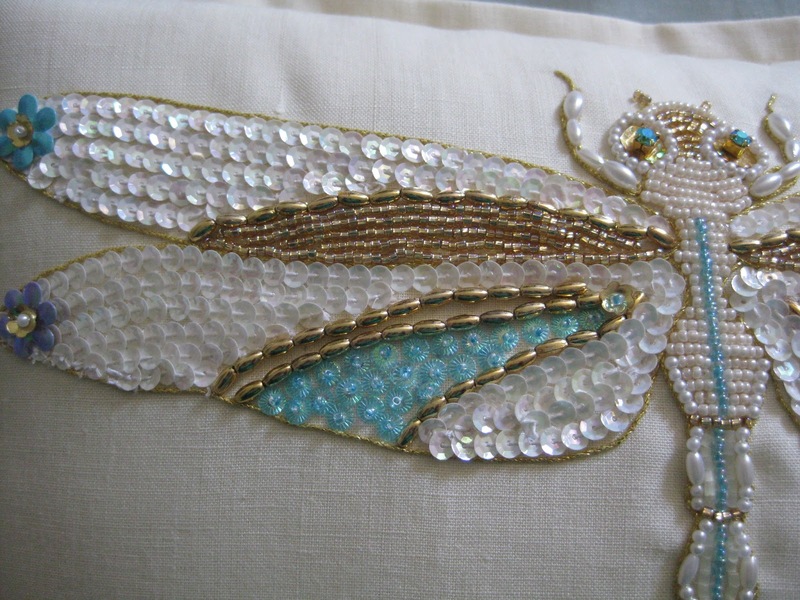 I have used a touch of couched goldwork, beads, pearls, sequins of varying shapes, plus 2 Swarovski chrytals for the eyes. 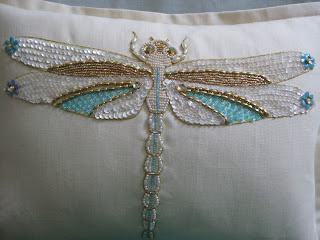 I saw the idea in a catalogue for soft furnishings which sparked off the idea, & my mind went into overdrive!